Dave Greenberg has been fascinated with photography for as long as he can remember and started taking pictures with a Kodak Instamatic when he was a little kid growing up in the suburbs of New York City. By the time Dave reached the age of thirteen, in 1977, he had learned his way around a darkroom and was developing and printing photos (strictly black & white, of course) that he was shooting with his father’s 1960s-era Yashica 35mm SLR, and an even older handheld light-meter. When later that year his Aunt Phyllis (an accomplished and highly-regarded photographer in her own right) presented him with a Pentax K1000, the venerable full-manual (but with a built-in light-meter) SLR that so many aspiring shutterbugs cut their teeth on in those days, it seemed Dave was well on his way to his dream of a career in photojournalism. 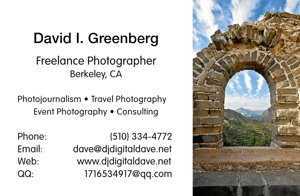 Life intervened, however, (well, actually, the Grateful Dead intervened) and Dave, having relocated to the San Francisco Bay Area, ended-up taking a twenty-five year hiatus from photography. 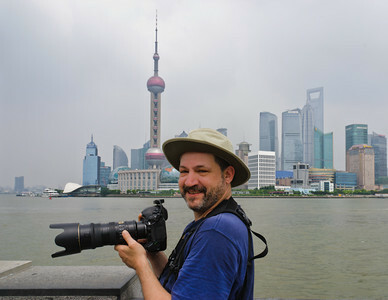 While Dave always suspected that he would someday revisit his dormant passion for photography, he never suspected that his return to it would be precipitated by a visit to the People’s Republic of China, where his archaeologist-girlfriend dragged him kicking and screaming in the summer of 2002. 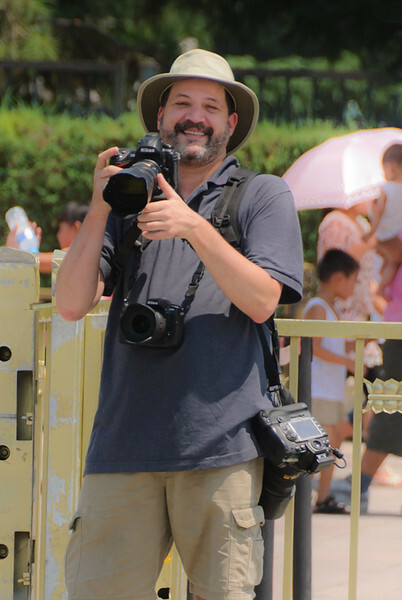 Beguiled by the dichotomy that is today’s China, at once ancient and modern, beautiful and repellant – and transforming faster than anyone can possibly account for - Dave was inspired to capture in photographs some degree of the essence of this most visually stimulating country. Fortunately for Dave, his renewed interest in photography couldn’t have occured at a better time: The digital technology that Dave had become intimately familiar with while working in audio restoration for well over a decade, had more recently been successfully applied to SLR cameras and had rendered the old “wet” darkroom obsolete, in favor of the modern “digital darkroom” that we know as Adobe Photoshop. This was right up Dave’s alley. Invigorated by continually evolving digital technology and inspired by a most unique and compelling country, Dave is once again pursuing, with great passion, his love for photography. Questions about photography or specific photos on this site? Want to license or purchase an image? 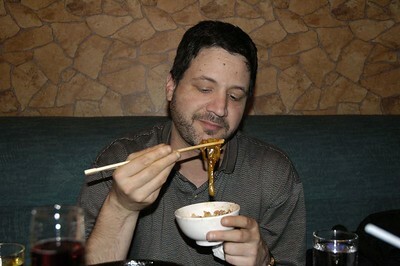 Questions about China or traveling therein? Experiencing any problems or found an error on this site? Or click here to Contact Dave..